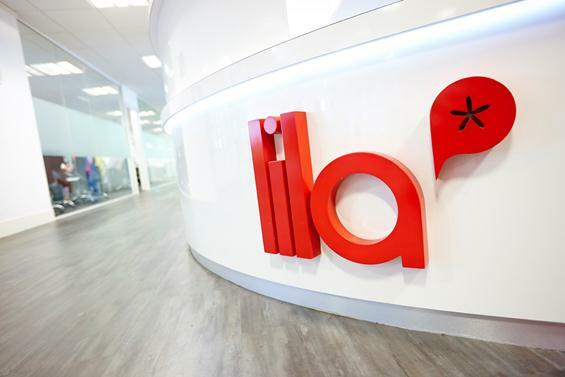 LILA* is a progressive language school located in the cosmopolitan city of Liverpool. By being a moderate-sized school we offer our students to study in great comfort and with a family feel. Our school boasts contemporary learning facilities supplying students with everything they need: quality teaching, value for money, a wide range of courses, great location, personal service, and a comprehensive social aspect that will help shape your experience at LILA* and in Liverpool. Liverpool has so much to offer as a colourful, iconic, cultural destination. The city offers more theaters, museums and galleries than any other city outside of London and also offers a great variety of music, sport and shopping alternatives. LILA* is neighbouring the great Liverpool One shopping district and the Premiership’s biggest football teams; Liverpool and Everton FC are just around the corner. The famous ‘Cavern Club’, which was home to the Beatles and which still hosts amazing live music acts every day, is also nearby. We like to think that once a LILA* student, always a LILA* student. General English is a full time, 15 hour per week course which aims to give you confidence in communicating in an English speaking environment. The course is taught in weekly modules focusing on the skills of speaking, listening, reading, and writing whilst covering essential grammar, vocabulary, pronunciation, and common English phrases. General English is designed for students who wish to improve their ability to communicate in English while experiencing the vibrancy and excitement of Liverpool. *If the class is fully booked, there may be an afternoon class at 2.45pm – 6.00pm please note these are subject to change. This course can also be combined with Plus Six to make an intensive 21 hour per week programme. Our Cambridge Examination course is a 15 hour per week, full time course. You will be guided through and exposed to a variety of strategies to help you realise your potential in the Cambridge exams. You will focus on all parts of the exam - reading, writing, listening, speaking, and use of English – as well as exam technique and academic style. It will develop the language skills necessary to pass your chosen Cambridge exam. As well as the core course material you may also have the opportunity to do authentic exam practice with previous Cambridge exam papers. Our IELTS Preparation Course is our part time course at 6 hours per week; you will encounter a wide range of strategies to give you the best possible opportunity to achieve your desired grade. You will focus on academic reading and writing, whilst also honing your speaking and listening skills. The class covers all modules of the IELTS exam and students will also get the chance to see a past exam paper. We have a maximum of 18 students to a class. Business English is a part time course (7.5 hours per week) designed for those who want to improve their English in a business context or want to take a Cambridge BEC exam. The focus is on business situations, in which learners will work on business skills such as giving presentations, writing reports, taking part in meetings and making conversation. These will include a focus on business vocabulary and English grammar as well as reading, writing, listening and speaking. This course can also be combined with General English to make an intensive 22.5 hour per week programme. We understand that people lead busy lives, often juggling full time jobs and families, so leaving them to study abroad for long periods of time is not practical. We also appreciate that there is still a need for them to improve their English with experienced, fully qualified teachers at a British Council accredited school. Our Online Classes with Tutorbranch have been developed to allow people to do exactly that. Students can choose to study as little or as much as they want at a time and place convenient to them. They can choose a purely online course or a blended course combining online with attendance at a traditional course at LILA*. The online classes provide a real-life lesson experience for students. There is an interactive whiteboard, document sharing, online messenger and video chat, to allow students to have a completely interactive lesson with a LILA* teacher in real-time. The times are arranged according to your availability (Monday to Friday). You may be new to teaching or maybe you've been teaching for a number of years and want a refresher course. Either way you will be presented with the most up-to-date methodologies and techniques delivered in practical and dynamic sessions with the freedom to choose a method that works for you and your current or future students. Our aim as teacher trainers is to provide support, advice, and help wherever possible; to be available and open to discussion; and most of all to put our passion for teaching into every session we deliver. We aim to learn from you as you, in turn, learn from us. I’m panamenian. I came to lila on September 23 of 2018, with a basic level of English, after my course, I went back to my country with an intermediate level of English. I have to said that the metodology is amazing , you speak all the day with people of other country’s about interesting topics, that made you improve and at the same time you can give your point of view. The Teacher will give you short homework , but it depends of you ! If you want to improve, you will do it ! I really enjoyed the differents activities with Students and also with teachers. We share a lots ! I’m pleased, good service , good teachers , good atmosphere , and I have to repeat NOW I speak a better English !!!! i studied in this school for 2 months, the experience was good, but could be better. Teachers: 9/10 - Alex and Luiza are pretty good. Relevancy: 6/10 - Comparated to a Canadian school that i had studied, LILA have much to learn, the structure is completly diferent and you feel part of the school. For those who coming to Liverpool, i recommend, probably is the best english school in this city. The school is ok, you can meet people from all world, the structure is good but for me, they should pay more attention to their methodology because the majority of teachers don`t teach, they just read the book, I prefer an expositive class, I can read by myself. Sometimes I had a perception which I could teach those classes, is easy, you just need read the concepts in the book, do some exercises, talk with your partner and that's it. The school doesn`t have an individual feedback, it`s important but ignored. There are some classes with a lot of students too, I had classes with twenty people, for example, with a great difference of age. I don't write to complain about the school, maybe the problem is me, I should have researched better earlier and you should do it too. Which methodology do you prefer? I like to think while I'm learning not just read some concepts and repeat boring exercises. You need to think about it before investing a high value. The school is just ok for me, without differentials, in general, was a good experience, could be better for the price.